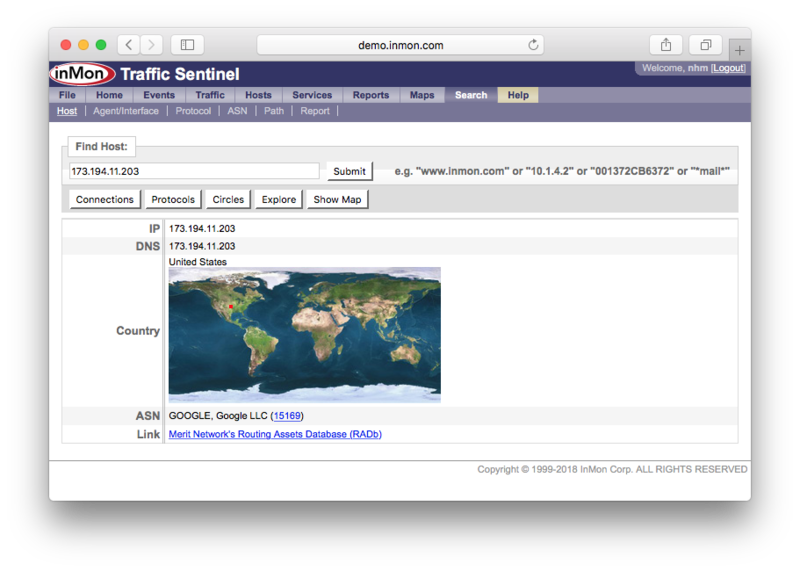 November 2018: InMon Traffic Sentinel 8.3 is now available for download. This is a free upgrade for customers who have purchased annual maintenance. To address the challenge of visualizing large traffic matrices, this new animation allows detailed end-to-end flows to be presented as an animation of moving particles. The same flow will always follow the same path and appear with the same color, so the human eye is rapidly drawn to anything new or unusual. Hover the mouse over a stream of particles and the animation will stop and report details of the flow. 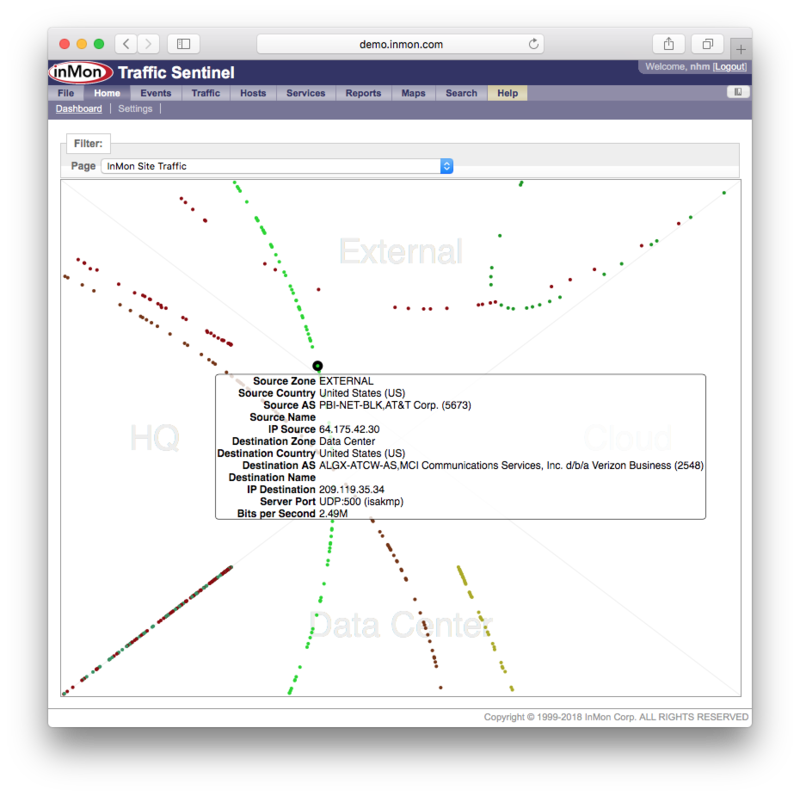 Appearing under Home>Dashboard, these pages can be copied and customized using the File>REST mechanism, so you can create as many as you want and arrange your local address space along the north, south, east and west axes. See Customizing the Dashboard. Those options are still available, but starting in 8.3 a mapping from IP address to AS is also included with the product. So you can always trend Top ASN Sources and Top ASN Destinations, or ask for "asn(ipsource)" or "asn(ipdestination)" in any key-select, filter-expression or script. Cisco NCS switches now export the IPFIX 315 "dataLinkFrameSection" Information Element. 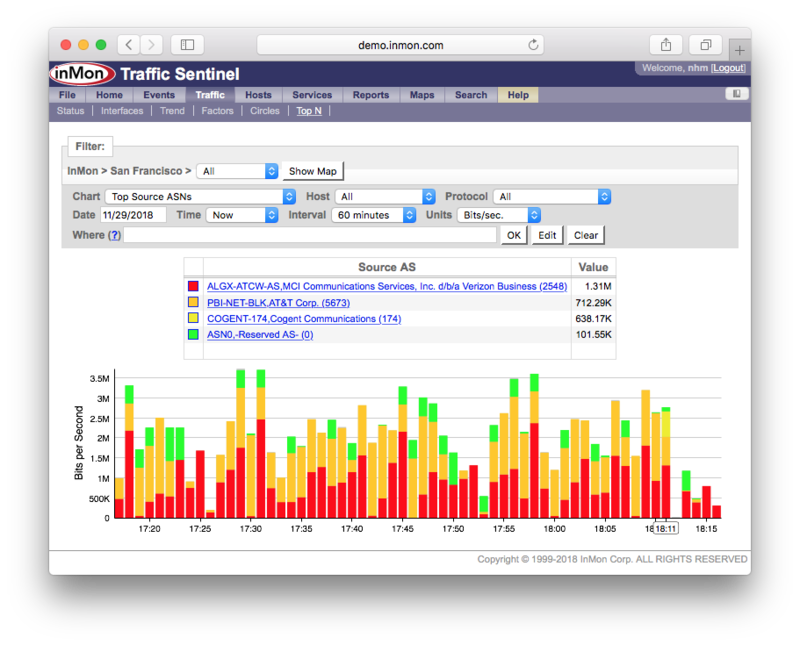 Traffic Sentinel now supports this, and delivers the L2-L7 full-stack monitoring that is made possible with this extension. The feed can also be forwarded to sFlow-RT for real-time analysis with sub-second latency.